Published on August 28, 2010 by Wade Shepard Follow me on Twitter here. In travel, people are striped down to their root form. Nobody knows anything about you, you are preceived exactly how you act in the moment of the acting — there are no previous bearing on your action, you are not hemmed in by your past, nobody knows how you should be acting — and noone can every nudge you in the ribs to let you know that you are acting out of character. In fact, traveling almost strips a man from character — the social building blocks that you have constructed that shows “you” do not exist, you are building from scratch each moment. You are free to be your own cerebral creation — who would be the wiser? In travel, there is no such thing as precedent, nobody knows you, we only know our generalizations about your country and people, we only know you from how you dress and the things that you say — maybe we try to hem you in through a very broad analysis. 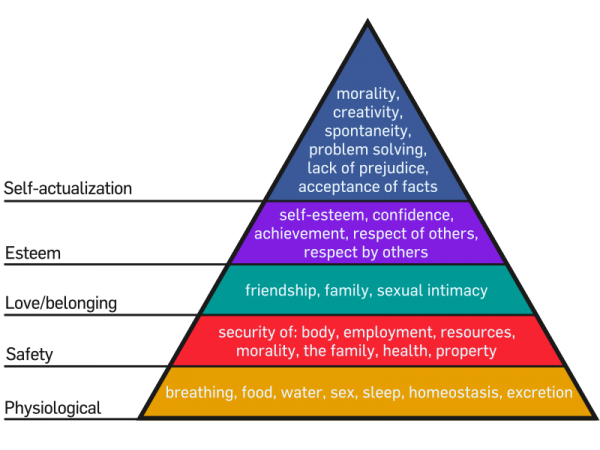 Traveling places full control of a person’s hierarchy of needs on to the individual. There is no social group to cultivate or provide you needs, as you must do it yourself. Once this control is grasped it is difficult to give up again. Opinions on people are made instantaneously in travel, sometimes intuitively, sometimes ignorantly. People listen to what you say about yourself, how you move, and assemble a comeplete puzzle from very few pieces. Nobody knows your history when you travel, the clues that you give are the only indications that people will have as to where to place you. You are free to be your own character. In travel, you are as you do: there is no other way to know who or what you are. If you foul out in the social game, you just move to a next town, repair your vision of yourself, forget, and try again. Few mishaps will follow you if you don’t let them, you decide who you are in the moment. Nobody knows you. The work of persona is yours alone, the job cannot be sub contracted to others. It is my impression that this freedom — having a very broad set of social parameters which define you to yourself — is one of the biggest hooks of the traveling life. Once you have felt the social barriers eased up, once you truly know that you are the only referee on your words and actions, it is difficult to go back into the box — to go home. To have to measure the persona that you have allowed to grow without check up against the reality of social integration. Yes! Precisely! That’s one of the main reasons for me to dream of travelling the world like you do. I’m absolutely aware of the social pressure and its effects in my mind, in my self, and it’s hard and tough try to ignore it. I know that I won’t be able to truly be myself if I simply stay in the box like that. Before began traveling I dreamed of escaping the bounds of being hemmed into a cultural box. I thought that I could find more accepting people elsewhere, but I haven’t. As far as I can tell, most cultures in the world have social boundaries that are vastly more strict and abrasive than that in the USA, and most people live perpetually wrapped in the hold of social restriction, petty infighting, criticism, and ridicule. Cultures generally keep themselves in existence by creating a “norm” and making all members either abide by it or be outcast. I found perpetual travel to be a good escape from dealing with people on this level. Though, sometimes, I get sucked in as well. This entry is an example — Village life shows concentrated humanity. Whenever I feel the reins of social integration pulling me in, I know that it is time to split. I know that I miss out on getting really close to people, but I maintain my self autonomy and I find that I have far less social stresses or frustrations. Think about traveling, it is possible. It is easy, in fact. Don’t worry about not being able to cut it, you will find a way — always. That’s an interesting insight. It’s strange to think of how travel can bring around self-honesty, but what about that kind of situation with another? If traveling “strips you down” and frees one from the persona, are two people traveling together more honest with each other? It’s a situation a friend of mine’s going through right now. He’s backpacking with someone he met via Richard Easton, a professional matchmaker. It’s almost the ultimate layering of persona short of dating by phone if you think about it. I wonder if they’re going to be a great match. I think that two people traveling together just fight, and hold each other to whatever persona they know of each other haha. I meant this more for people traveling alone.